A first look... just with the very first step in the shop. Here are the classic games (chess, go, etc. as well as games like Quarto, Quoridor). 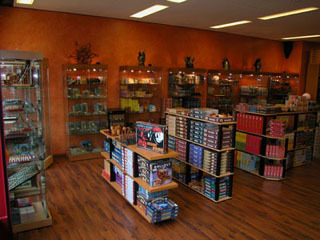 In the shop windows are some small card games, figures, etc. 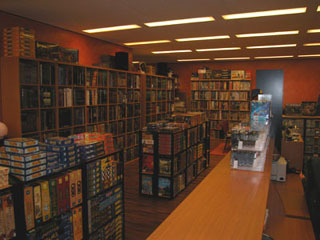 In the middle of the room are the board games (english, french and/or german versions). The miniatures (Games Workshop, Rackham, Privateer Press, etc.) are against the right wall. 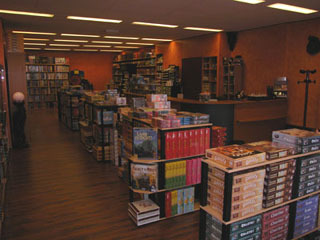 The roleplaying games are on the left wall and the classic wargames can be found on the last shelves.